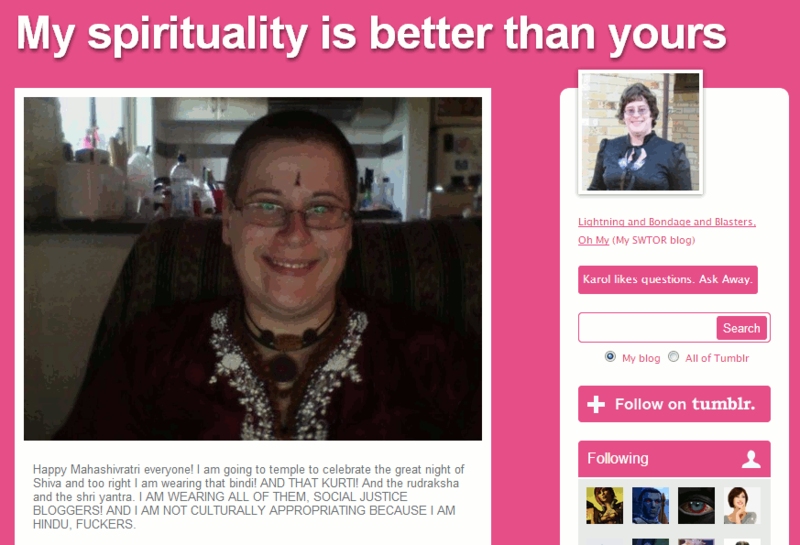 This is part of a post that I have been asked to write for the homophilosophicus blog. I have decided that rather than write the whole article at once and post it on both blogs, I will write it in stages here. One reason for this is that I find it easier to write smaller direct posts, and I imagine that many readers will also find this easier to read. The second reason is that I can add details here that would probably be too much for a general audience. Thirdly, I can get feedback as I write. This topic fell naturally into different sections, giving me the idea. The sections in this coloured text are extras for this blog only! But the main reason that we oriented this episode of COSMOS towards India is because of that wonderful aspect of Hindu cosmology which first of all gives a time-scale for the Earth and the universe — a time-scale which is consonant with that of modern scientific cosmology. We know that the Earth is about 4.6 billion years old, and the cosmos, or at least its present incarnation, is something like 10 or 20 billion years old. The Hindu tradition has a day and night of Brahma in this range, somewhere in the region of 8.4 billion years. As far as I know. It is the only ancient religious tradition on the Earth which talks about the right time-scale. We want to get across the concept of the right time-scale, and to show that it is not unnatural. In the West, people have the sense that what is natural is for the universe to be a few thousand years old, and that billions is indwelling, and no one can understand it. The Hindu concept is very clear. Here is a great world culture which has always talked about billions of years. This cycle of the physical universe itself repeats as part of a larger cycle, which in turn is in a further cycle. Different lineages may differ in the details of these cycles, but the gist is the same. Every 994 cycles of the universe a greater distruction occurs where the subtle plane (also known as the astral plane) is also destroyed, and after 36,000 of these cycles all three worlds (physical, astral, and causal plane or God’s abode) and all of space, and time are withdrawn into Shiva. The above description is the beliefs of the Saiva Siddhanta church, which is classed as Advaita Ishvaravada. This contrasts with the beliefs of dualistic saiva sects and most vishnavas, who believe that the souls and God are eternally separate. During mahapralaya (the greatest destruction) souls continue to exist separate from God in a potential form. It is also different from the beliefs of the followers of Advaita Vedanta, who say that only the formless, impersonal Brahman exist after mahapralaya. The atman is a divine spark of God. As Yogaswami of Jafna said “The one act God cannot do is to separate Himself from us even for a moment”. I believe that followers of Kabbalistic Judaism have a similar view of God. God by his very nature must be intimately concerned with us. 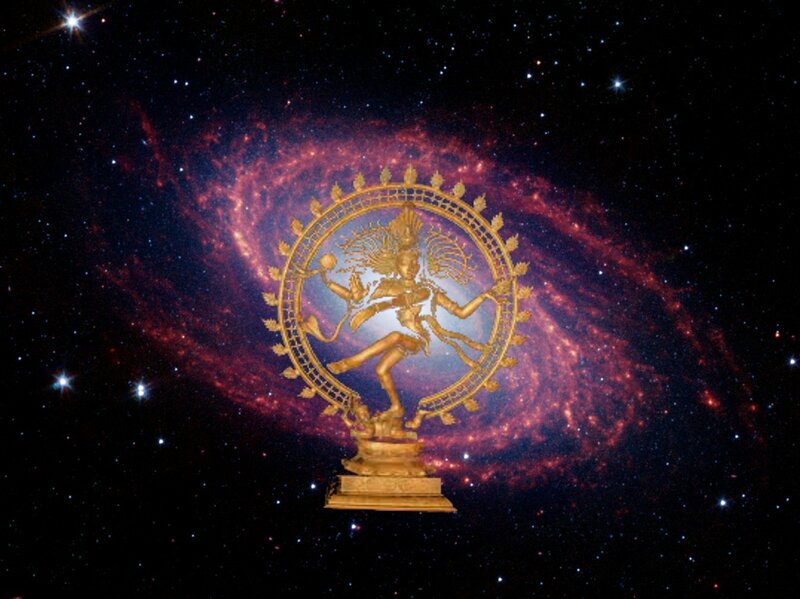 Image “Shiva the creator” made by combining the Wikimedia image “lord Nataraja” with the NASA image “Spiral Galaxy M81“. Both of these are available for non-commercial use with attribution. The combined image is available for non-commercial use under the Western Hindu blog’s license terms, as is the rest of this article. This entry was posted in hinduism, religion and tagged cosmology, creation, saiva siddhanta. Bookmark the permalink. 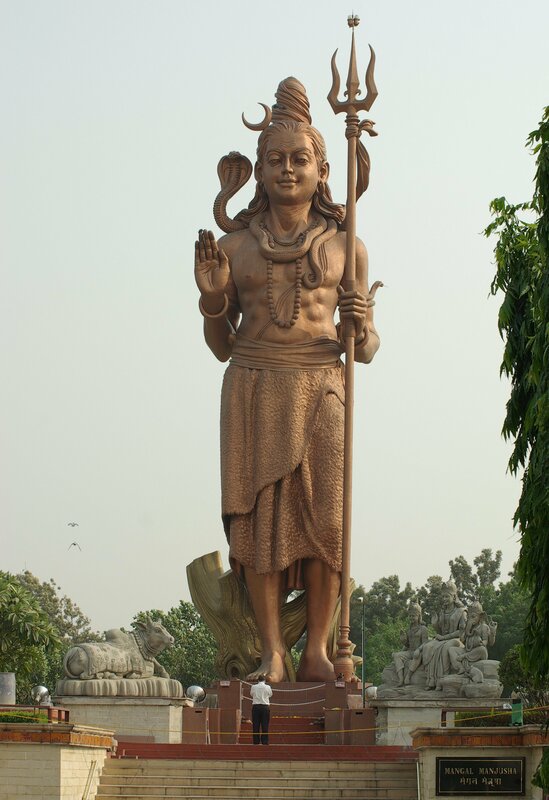 advaita is Paramarthik and Dvaita is Vyavaharik. Some Dvaita and Advaita fight each other. But in real they are complementary. ie, just like we talk about sunset and sunrise, but in real if we rise above earth into space there is no sunset or sunrise,. But it is helpfull when we live on earth. Similar is Dvaita and Advaita, the highest form of Advaita is impractical on Earth so we take an assumption like imaginary axis ie Advaita. He has also said the Nataraja murthi is the absolute representation of creation of Universe during begginning of each cosmic cycle. Proud to be part of scientific religion. These concepts of time and creation/destruction are some of the reasons I love the broad tradition of Hinduism so much! At a higher level of perception there is only one moment. Past present and future are unified. In Indian cosmology there are the three gunas, satva, rajas, and tamas, that are responsible for the evolution of the world. Generalized this is the law of three that exists in many traditions. These laws can be seen in action in the evolution of culture and civilization. One can see past present and future together in a single moment in the form of waveforms.